Annie Lee, the practice manager, has been associated with Filham Park for over 45 years. She has overseen many changes in the business from its very early “James Herriot” like days to the very modern and up to date services and technologies we have today. Annie is available to assist with any administrative or financial queries that arise on a day to day basis. Outside of work she enjoys walking and exploring the local area with her daughter and the family’s recently re-homed young dog, Tess. Merryl joined the Filham Park team as a receptionist when the site opened in 2004. She has always shared her life with animals and currently has a New Forrest pony called Honey, a large cat from Gables Cats & Dogs Home called Lottie and six rescue tortoises that seem to eat more than her pony! Her passion at work is seeing the relationship people have with their animals and the huge role pets play in family life. For the past few years she has been working as a registered Ally supporter, helping owners through the difficult and painful loss of a much loved pet and is always on hand to assist people during this most distressing time. In her spare time Merryl loves being outdoors either on her pony or exploring the sea and local rivers in her canoe or kayak. Merryl has been a keen kayaker for many years and is never happier than when on or in water! In 2004 Emily achieved a degree in food and nutrition from Seale Hayne, University of Plymouth. Nothing to do with animals! She started working at the practice in 2008 and works part-time hours due to having a family. Emily is Annie's assistant, and her role is to sort out the day to day banking and assist with sending out invoices, insurance claims and other general paperwork. Animals and family are Emily’s life; she has a horse, dog, cats and chickens. She has two boys and when she isn’t at work enjoys time spent with her family, taking Grace her dog for walks, planning adventures on the moors with Tom her horse, or she can be found with her nose in a book, or cooking something up in the kitchen. Sue started as a part-time receptionist at Filham Park Vets in December 2018, after retiring from working as a radiographer. As well as really enjoying working as part of such a friendly team and meeting all of the owners and their lovely animals, she finds the medical side very interesting. When her children were at home they had a variety of animals, ranging from ducks, dogs and ponies to rabbits and goats. Now she just has her husband and dog called Doug to look after, and occasionally grandchildren. Sue likes to keep fit walking on the moor and attends regular pilates classes. Rowena joined the team at Filham Park Veterinary Clinic in April 2015 as a receptionist. Over the years she has owned and cared for a menagerie of animals and livestock, and is always keen to make new furry friends at work. She loves the hands-on aspect of her job and meeting (cuddling) all the new puppies and kittens that come in through the door. When she is not on the front desk answering the phone or dispensing medication, you will probably find her fussing over the inpatients in our cattery and kennels. She also processes pet insurance claims and is happy to help and advise clients if needed. In her spare time Rowena loves walking and visiting the beach with her family. She is planning to extend her brood to include ducks and chickens in the near future and is currently trying to persuade her husband to dig her a duck pond! June started here at Filham Park in March 2017 as a part-time receptionist. Before starting at the practice, June previously worked as an administrator in an estate agents and in the local chemist. Coming to Filham has been a dream come true for June as she gets to spend her days at work cuddling all of the beautiful animals that come in through our doors. June has two dogs called Fudge and Esther, who are adopted Cavalier King Charles Spaniels. June also has a ginger tom cat called Oliver. In her spare time, June enjoys walking, spending time with her family and taking care of the 65 roses she grows in her garden. Amy joined the Filham Park team in 2008. She is one of our receptionists, working every morning and all day on Fridays. She enjoys all aspects of her job. She has three dogs, Truffle a chocolate Labrador, Bear a black Labrador and Dolly a Springer Spaniel, that she loves walking in the countryside or moorland whatever the weather. She has a young daughter and in her spare time she enjoys being outside in her garden using her “green fingers”. Amy also enjoys running to keep herself fit and baking a variety of goodies which the practice staff benefit from on a regular basis. Zoe joined the Filham Park Vets team in December 2018 and before this worked as admin at Princess Yachts. 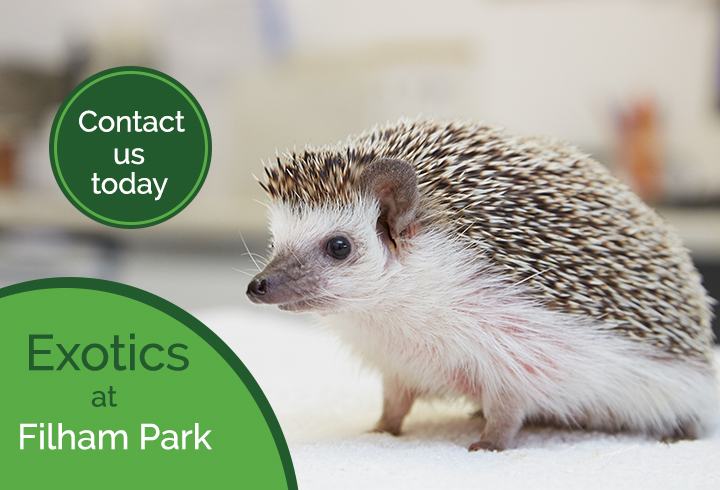 Filham Park has been a dream for Zoe as she can now spend all morning with our fluffy patients. As well as a daughter, Zoe has two Labradors, Dylan and Fizz; two cats, Trevor and Bella; a rabbit and two horses, Indie and Candy. Zoe likes to go riding with her daughter Maisie in their spare time. Shona started working at Filham Park Vets in January 2013, and works a couple of afternoons a week since having her two children. She loves coming to work and meeting all our clients when they come into reception, especially the fluffy ones! As well as two daughters, Shona has two horses, a pet goat, a flock of ducks, chickens and three dogs. When she manages to escape the children she loves to gallop the moors on her horse, Zennor, and when she doesn’t, Shona and her daughters potter around their fields at home with the woofers.